If you have ever uploaded an image to your media files for a blog post, no doubt you have edited the photo to some degree. Whether you cropped, adjusted exposure or watermarked your image for publication, there is a need and an art to photo-editing. Some are masters at creating a digital painting, while others are just happy to have a decent photo to share. Tina at Travels and Trifles and Susan at Musin With Susan have successfully experimented with Topaz Labs. I am no expert, believe me, my photography is pure hobbyist with some “serious leisure” thrown in. Sounds like photography to me! When I got serious about blogging in 2014, I also got more interested in photography after learning that just grabbing images from Google and plopping them into posts was a no-no and could violate copyright laws. Needing some know-how, I discovered WordPress’ Blogging University (I’m glad to see it is still around)…I took Photography 101 & 201 in Fall 2014 and met so many bloggers and learned a lot about photography, techniques I constantly use. The process really encouraged me to take lots of photos. From this experience, I was exposed to PicMonkey and eventually bought the Premium package. I have yet to use most of the features but my go-to basic photo edits are cropping, exposure, saturation, and image rotation or leveling. There are almost countless editing features and you can find a tutorial on most of them. I also use the special effects, text, frames and overlays. Although I have not yet tried the new PicMonkey yet, I will need to wait until this semester is completed before I can make my brain learn something new. I’m also flirting with the idea of using Adobe Lightroom! I learned from a pro photographer to always straighten your images, especially if water is part of the horizon. I feel like I’m falling off the Earth! A simple edit in post-processing will fix this minor faux-paus. I’ve started taking a series of local photography courses. The subject of the first class was just getting to know your camera. Wow, the things I learned in the first class! 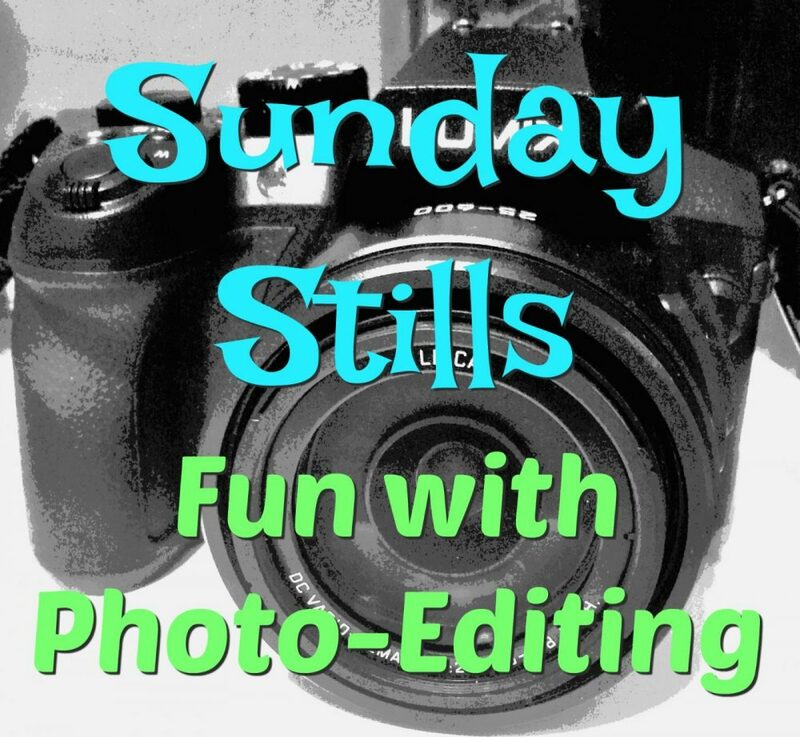 For the Sunday Stills photo challenge today, show us the before and after images of your photo-editing favorites. In these images from our trip to Hawaii, my eyes saw the image on the right, but the camera saw the image on the left. With a few minor edits the photo finally matched more of what my brain told my eye. You may remember these from an earlier post and recently on Instagram, where I played around with a Painnt app. The app creates a whole new look to any image. Many bloggers also enjoy creating graphics for their posts. Both PicMonkey and Canva do this job very well. These before and after images created my Sunday Stills graphic. What is your favorite photo-editor? Do you have recommendations? Please share in the comments! Link to this post so I can share your post! Link up below if you wish! This is a great idea for a challenge, Terri! I always edit my photos either in LR, PS, directly on SmugMug using PickMonkey, or go further to digital painting. It’s amazing how the photos can look SO much different with editing. I used to think it was silly, but now that’s where a ton of my time goes!! Lovely, Terri. I use Canva. Thanks, Shelley, I pretty much edit everything! I don’t tend to edit my photos, Terri, apart from adding a watermark if I publish them on my blog. I don’t even own a camera. I use my iPhone 6 for all my photos, although I’ve just upgraded to the new XR (arrives on Friday). It has a better camera than the 6, so maybe I’ll start some editing of pics once I start using it. I’m looking forward to getting to know the new phone and what it does. I hope it has a good editing feature, Hugh! How do you watermark your images now? I use an app called PhotoBulk. I like it because it works on my iMac as well as my iPhone and iPad. It also does a host of other stuff and is very easy to use. Something that always goes down well for me. Apple has great products! I’m still looking, but PicMonkey is just fine! Thanks for this great advice, Terri. It’s amazing what a difference your editing made to these images. Thanks, Toni, I find it difficult to not edit all my images for publication. I use PicMonkey and love it. The newest version made my eyes cross but am hoping it will be as easy as the original. It is still in progress and not all features have been moved to the new version. I need to learn more about what I can do with it though! I’ll have to look at Lightroom. I’m glad to know your prof didn’t scoff at PicMonkey! I do very basic editing in Canva or Paint. I can do some basic in Photoshop. I have never messed with filters and mostly crop and resize things. Maybe when I quit teaching I will have time to mess with more advanced features- it intrigues me! I’m doing a little local travel this weekend so I won’t be able to participate but I definitely have thoughts about photo editing. I’m glad you mentioned straightening the horizon… it’s such an easy edit but is oftentimes overlooked. I‘m usually in the less-is-more camp, preferring subtle edits that highlight, not radically change, an image. I normally shoot in RAW (using my DSLR, not when using my iPhone) so editing is a must. My new go-to program for editing is Luminar. It’s like Lightroom but without the monthly fee (yay!). I also like PicMonkey. I’m looking forward to reading what other people think about this subject. Thanks for the info Janis, I may look into Luminar. PicMonkey still works great for me, but it’s fun to experiment. I also shoot in raw, but my photography instructor said it takes a lot of room on the SD card, and most hobbyists could shoot in jpeg and still do edits. There is just so much to it all! This is a fascinating topic. When I started on Instagram, I used Painnt, but my husband taught me how to edit photos. We don’t have a computer so we use an app called Photofox. It’s simple once you learn it. That’s a great suggestion, Aixa, glad to know there are options in apps! Hi, Terri – Your before and after shots are great example of what can be done. I will definitely check out some of the photo apps that you have mentioned here. Can you believe I had that quote in an old grad school paper I saved? After all these years it is nice to know there is a legit definition as why we are so passionate about the fun things in life! I’m off to check out your entry, Debbie! Photography (including editing) really looks like a fun hobby. Especially when creating artsy versions. One day, when I have more time, I hope to play around with it a bit more. I have never taken a course or paid for any program or app, but I seem to be OK just using the free Paint.net program and the free Fotor version currently, which I have installed on my computer. That, to bulk resize the photos, and the photo gallery option of my WordPress theme, create the photos I add to my blog. They are usually unedited and un-watermarked, because that requires too much time. When I add photos to articles for magazines, I always edit my photos in Paint.net program. Yes, Liesbet, you definitely already have a sophisticated eye for creating outstanding images. Watermarking with a text app does take a lot of time, and it is a preference for sure. That was Photo “minus”101, LOL! What is DXo software? Thanks for your comment! Some good tips here Terri. I’m glad you’re enjoying the photo course. There’s so much about my camera I still don’t really know, so I try to keep things as simple as possible. I use Photoshop Elements for my editing, in part because of familiarity – I’ve used versions of Photoshop for a long time (the full version is WAY more than I have use for these days). Like you, leveling, cropping, and exposure are my staple edits. I also generally sharpen my images, but just a small amount. Too much looks too much. Anyway, here’s my offering this week: https://grahamsisland.com/2018/10/21/kohala-waterfall/. This combines two images, which I don’t do often, but is a fun project trying to make the join disappear. Does your Lumix have the “scn” on your wheel? Mine has 24 exposure settings like portrait, sports, night, etc. Our photographer told us to use those to establish your shots then find the functions, shutter speed and ISO on the best ones and then use those numbers in manual settings. My backyard hummers were elusive this weekend (would see me coming then flit away), so I hope to practice on them with my sport setting this week! Wish me luck! Loved your edits of Kohala Falls. Like you I just need a basic editor but I would love to toy with it. I may take that same photographer’s Lightroom class early next year (I own the Adobe suite so perhaps I can get a good deal)! I do have the SCN setting and use it some. But the truth is my default camera setting is auto because I take a lot of nature photos when I’m out hiking and that’s often a matter of seeing something, whipping the camera out, and firing off a shot or two. I have to agree with you, sometimes we can’t set up everything. Very interesting to see your edits. I use Lightroom. My photos are always of horses in movement and sometimes with not much light ( indoor arenas). I am really a beginner with Lightroom and took an online course .I find it works well for what I need. That’s a good idea, to take an online course, Anne, thanks for the idea! The one I took was specific to horses and horses in motion in particular . It was really very helpful for me. I’m sure you can find other ones that would be helpful to your interests. I like to edit but don’t have a good editing program so I won’t do a Sunday stills this week. How about showing the difference from cropping or adjusting the color? Something simple, BL! I delete you message from the kindle. I have one but please send me the link by gmail. Took a number of photos this week with your Sunday Stills prompt in mind. Now to play with the originals. Wanted to see if I understood the prompt so checking out your post first before finishing mine. Glad to read that you straighten things a bit in photos that are not perfectly straight. I have done that, too, because my OCD won’t have it any other way. Love the Painnt editing you did. So lovely. Have been using Pixlr to make things interesting. And Canva. Will check out the WordPress courses. Thanks for the recommendation. Your photographs are always stunning, edited or on their own. You inspire me to try harder! How great, Leslie! I look forward to seeing what you came up with! What a difference a little editing makes – from ho-hom to holey moley, what a great photo! I don’t take photos, but I can see the dramatic differences. 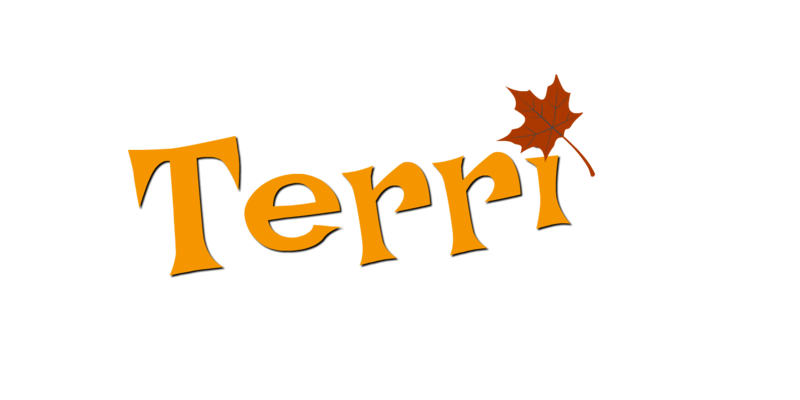 Thank you, Terri – that is very kind! I’ll take a look soon. I have so much to learn when it comes to photo editing. For a long time the only editing program that I used was snapseed. I still use it on my phone. I dabble with lightroom from time to time. You said it so well about your Hawaii photo, I only want the photos to be what I saw with my eyes. I want them to look natural after editing. I’m not into having them look artistic. I’m much more simple in my taste. I think nature is perfect, and absolutely beautiful. I only crop my photos, and sometimes enhance the light. I have to admit that lately I’ve mostly used my very old phone for pictures, and the result is not as good as I know I can do. I have a great full frame camera that I bought before moving to Vegas, that I still haven’t fully gotten to know. I’m going to work less hours from now on, and my plan is to get to know my camera inside out these coming months. great post as usual. I hope you’re enjoying your weekend. It’s raining here today!!! You have rain? I’m jealous, Maria! It is so worth getting to know your camera! I didn’t know all the things I can do with my Lumix including manual settings with changes to ISO and aperture. I’m glad I don’t have a more complicated camera! I’d bet there are camera classes you could take in your area (I would avoid one offered by a camera store). I went with Photography My Way, local to Sacramento area, but he owns the business and of course is a pro photographer. He was very knowledgeable about my camera! Two more sessions with him over the next two weeks! Thanks for the “shout out”, Terri! My two favorite editing programs are Lightroom and Topaz Studio. This will be a fun challenge; I’ll write my post a little later in the week. Of course! I loved what you did with the poppies, Susan! Does Topaz Studio work within lightroom or is it separate software? Each time I read about Topaz it talks about plugins. Terri, Topaz is stand alone, but photos can be opened through LR. The software is free and does a lot! When you watch training videos they use plug-ins, and then, of course, you want to buy them. I bought the pro version of AI Clear, Remask, and LensEffects. Good to know, Susan, but I may pester you later in a PM when I explore my options! Thanks! Straightening your horizon – good advice, Terri. Sure makes a difference, doesn’t it?